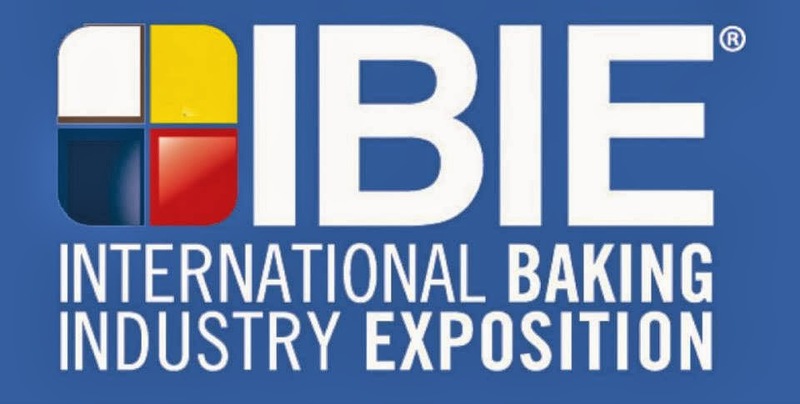 While you will hear more from us about the International Baking Industry Expo in the PMQ Pizza Magazine soon, we couldn't wait to share with you just how much fun we had and our winners from the competition in Las Vegas. 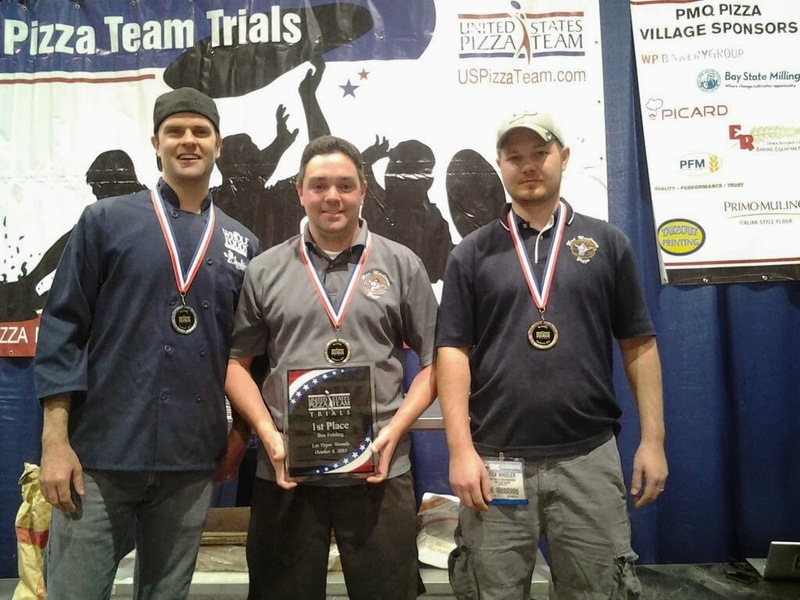 Along with our competitions, we learned about new trends in the industry, new products on the market and even got to spend an evening in college with the University of Nevada Las Vegas pizza course. We plan to share lots more on all of this soon. 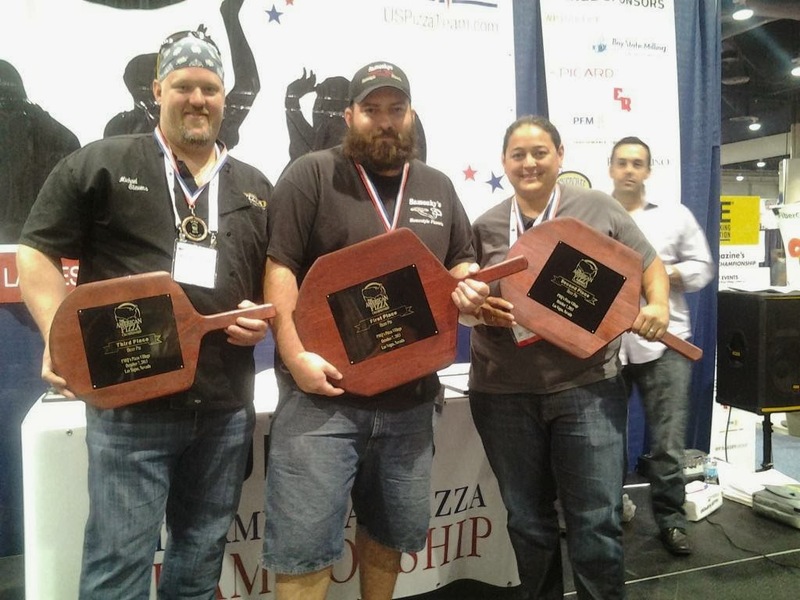 While those of you who follow us on social media already know who won, in case you missed the live-tweeting or the daily Facebook updates, we held the American Pizza Championships looking for the best overall pie and best gluten-free pie. 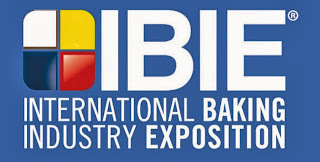 Held in Las Vegas over four days, the IBIE event is held every three years but for PMQ it was our first time to join. The PMQ Pizza Village which hosted numerous booths including pizzaskool.com and PMQ brought something a little savory into the mix. The free pizzas given out all week drew large crowds and the spinning pizzas also drew a crowd. 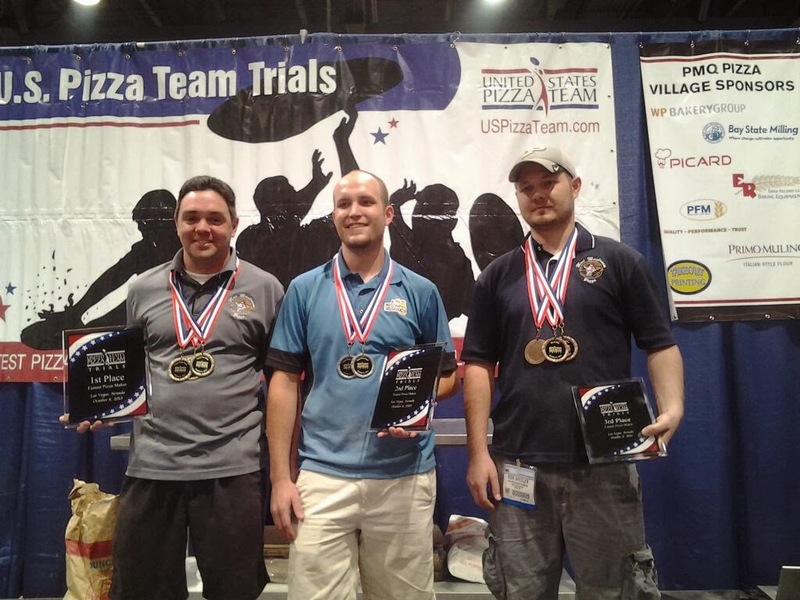 But really it came down to who would win their trip to Italy to be part of the U.S. Pizza Team in April 2014. See below for our winners and congratulations again to all of them! 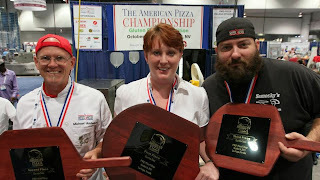 Pizza Dock's Mike Amheiser (3rd place), Sinfully Gluten-Free's Heather Zook (first place) and Samosky's Pizzeria's Jason Samosky (2nd place) at the gluten-free competition at International Baking Industry Exposition (IBIE. Second-place winner Michael Stevens from Palo Mesa Pizza, first-place winner Jason Samosky of Samosky's Homestyle Pizzeria and third-place winner Leah Scurto from Pizza My Heart. 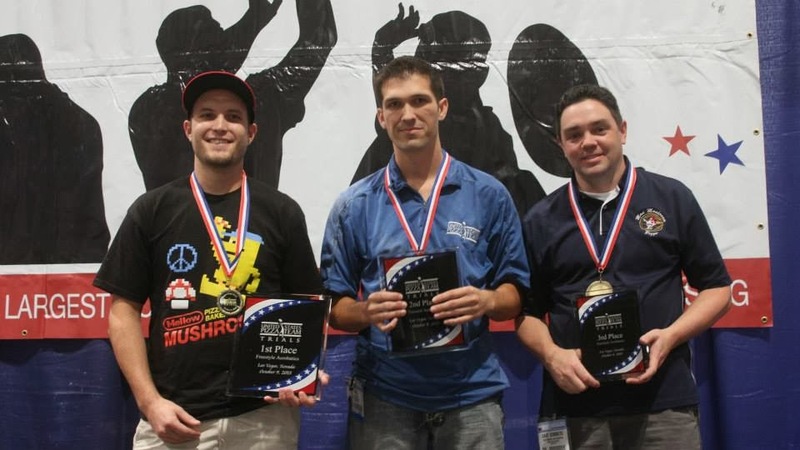 For fastest box-folding, Matthew Driscoll of Whole Foods of Northern California in second-place, Dave Sommers of Mad Mushroom in Lafayette, Ind. with 32.19 for the win and Rick Wheeler of Mad Mushroom in third-place with 39.16 seconds. For both fastest pizza and longest dough stretch is Dave Sommers of Mad Mushroom of Lafayette, Ind. in first-place, Bradley Johnson of Mellow Mushroom in Chattanooga in second place and third-place is Rick Wheeler of Mad Mushroom. With first-place winner Bradley Johnson of Mellow Mushroom in Chattanooga, second-place winner Pat Miller of Slice of New York of Columbus, OH and third-place winner Dave Sommers of Mad Mushroom in Lafayette, Ind. For more from our winners, see our special This Week in Pizza report below or check out our Facebook photo album.